In political studies, surveys have been conducted in order to construct historical rankings of the success of individuals who have served as President of the United States. Ranking systems are usually based on surveys of academic historians and political scientists or popular opinion. The rankings focus on the presidential achievements, leadership qualities, failures and faults. 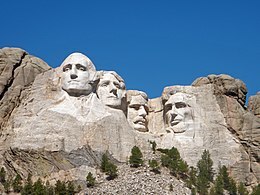 In the 1920s, sculptor Gutzon Borglum and President Calvin Coolidge selected George Washington, Thomas Jefferson, Theodore Roosevelt and Abraham Lincoln to appear on Mount Rushmore—it later became an iconic symbol of presidential greatness. Abraham Lincoln, Franklin D. Roosevelt, and George Washington are most often listed as the three highest-rated Presidents among historians. The remaining places within the Top 10 are often rounded out by Theodore Roosevelt, Thomas Jefferson, Harry S. Truman, Woodrow Wilson, Dwight D. Eisenhower, Andrew Jackson, and John F. Kennedy. More recent Presidents such as Ronald Reagan and Bill Clinton are often rated among the greatest in public opinion polls, but do not always rank as highly among presidential scholars and historians. The bottom 10 often include James Buchanan, Warren G. Harding, Andrew Johnson, Franklin Pierce, Millard Fillmore, William Henry Harrison, John Tyler, Ulysses S. Grant, Zachary Taylor, and George W. Bush. Because William Henry Harrison (30 days) and James A. Garfield (200 days, incapacitated after 119 days) both died shortly after taking office, they are usually omitted from presidential rankings. Furthermore, Zachary Taylor died after serving as president for only 16 months, but he is usually included. In the case of these three, it is not clear if they received low rankings due to their actions as President, or because each was in office for such a limited time that it is not possible to assess them more thoroughly. Political scientist Walter Dean Burnham noted the "dichotomous or schizoid profiles" of Presidents, which can make some hard to classify. Historian Alan Brinkley stated that "there are presidents who could be considered both failures and great or near great (for example, Nixon)". Historian and political scientist James MacGregor Burns observed of Nixon: "How can one evaluate such an idiosyncratic president, so brilliant and so morally lacking?" In 2002, Ron Walters, former director of the University of Maryland's African American Leadership Institute, stated that Presidents ranked by how each one balanced the interests of majority interests and the interests of excluded groups was practical in respect to American debate on racial politics. Presidents have traditionally been ranked on personal qualities and their leadership ability to solve problems that move the nation in a positive direction. Walters stated there was a qualitative difference between white and African American intellectuals in evaluating presidents. In the 1996 New York Times poll by Arthur M. Schlesinger Jr., 31 white historians and one black historian ranked presidents on differing categories of greatness. In a survey done by professors Hanes Walton Jr. and Robert Smith and in their text book American Politics And The African American Quest For Universal Freedom, 44 African American political scientists and historians ranked Presidents in terms of racial attitudes and racial legislation proposed. Individual presidents' attitudes, policies and perspectives were historically ranked in five categories: White Supremacist; Racist; Racially Neutral; Racially Ambivalent; Antiracist. David H. Donald, noted biographer of Abraham Lincoln, relates that when he met John F. Kennedy in 1961, Kennedy voiced his deep dissatisfaction and resentment with historians who had rated some of his predecessors. Kennedy said: "No one has a right to grade a President—even poor James Buchanan—who has not sat in his chair, examined the mail and information that came across his desk, and learned why he made his decisions". Historian and political scientist Julian E. Zelizer argues that traditional presidential rankings explain little concerning actual presidential history and that they are "weak mechanisms for evaluating what has taken place in the White House". Libertarian political commentator Ivan Eland wrote a book titled Recarving Rushmore (2008; updated 2014) in which he wrote that historians' criteria are poor in their capacity to reflect presidents' actual services to the country. In the book, Eland chose to rate 40 Presidents on the basis of whether their policies promoted prosperity, liberty and non-interventionism as well as modest executive roles for themselves—his final rankings varied significantly from those of most scholars. 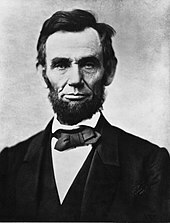 Abraham Lincoln is often considered the greatest President for his leadership during the American Civil War and his eloquence in speeches such as the Gettysburg Address. James Buchanan is often considered the worst President for his inept leadership during the years leading up to the Civil War. The 1948 poll was conducted by historian Arthur M. Schlesinger Sr. of Harvard University. The 1962 survey was also conducted by Schlesinger, who surveyed 75 historians. Schlesinger's son, Arthur M. Schlesinger Jr., conducted another poll in 1996. The Complete Book of U.S. Presidents also gives the results of the 1982 survey, a poll of 49 historians conducted by the Chicago Tribune. A notable difference from the 1962 Schlesinger poll was the ranking of Dwight D. Eisenhower, which rose from 22nd in 1962 to 9th in 1982. The Siena Research Institute of Siena College conducted surveys in 1982, 1990, 1994, 2002 and 2010. The 1994 survey placed only two presidents, Franklin D. Roosevelt and Abraham Lincoln, above 80 points and two presidents, Andrew Johnson and Warren G. Harding, below 50 points. The 2010 Siena survey had George W. Bush plummet from the initial 2002 ranking of 23rd down to 39th. The 1996 column shows the results from a poll conducted from 1988 to 1996 by William J. Ridings Jr. and Stuart B. McIver and published in Rating The Presidents: A Ranking of U.S. Leaders, from the Great and Honorable to the Dishonest and Incompetent. More than 719 people took part in the poll, primarily academic historians and political scientists, although some politicians and celebrities also took part. Participants from every state were included and emphasis was placed upon getting input from female historians and "specialists in African-American studies" as well as a few non-American historians. Poll respondents rated the Presidents in five categories (leadership qualities, accomplishments and crisis management, political skill, appointments and character and integrity) and the results were tabulated to create the overall ranking. A 2000 survey by The Wall Street Journal consisted of an "ideologically balanced group of 132 prominent professors of history, law, and political science". This poll sought to include an equal number of liberals and conservatives in the survey as the editors argued that previous polls were dominated by either one group or the other. According to the editors, this poll included responses from more women, minorities and young professors than the 1996 Schlesinger poll. The editors noted that the results of their poll were "remarkably similar" to the 1996 Schlesinger poll, with the main difference in the 2000 poll being the lower rankings for the 1960s Presidents Lyndon B. Johnson and John F. Kennedy and higher ranking of President Ronald Reagan at 8th. Franklin D. Roosevelt still ranked in the top three. Another presidential poll was conducted by The Wall Street Journal in 2005, with James Lindgren of Northwestern University Law School for the Federalist Society. As in the 2000 survey, the editors sought to balance the opinions of liberals and conservatives, adjusting the results "to give Democratic- and Republican-leaning scholars equal weight". Franklin D. Roosevelt still ranked in the top three, but editor James Taranto noted that Democratic-leaning scholars rated George W. Bush the sixth-worst president of all time while Republican scholars rated him the sixth-best, giving him a split-decision rating of "average". "George W. Bush has just finished five years as President. If today were the last day of his presidency, how would you rank him? The responses were: Great: 2%; Near Great: 5%; Average: 11%; Below Average: 24%; Failure: 58%"
"In your judgment, do you think he has a realistic chance of improving his rating?" Two-thirds (67%) responded no; less than a quarter (23%) responded yes; and 10% chose "no opinion or not applicable"
Thomas Kelly, professor emeritus of American studies at Siena College, said: "President Bush would seem to have small hope for high marks from the current generation of practicing historians and political scientists. In this case, current public opinion polls actually seem to cut the President more slack than the experts do". Douglas Lonnstrom, Siena College professor of statistics and director of the Siena Research Institute, stated: "In our 2002 presidential rating, with a group of experts comparable to this current poll, President Bush ranked 23rd of 42 presidents. That was shortly after 9/11. Clearly, the professors do not think things have gone well for him in the past few years. These are the experts that teach college students today and will write the history of this era tomorrow". A 2010 Siena poll of 238 presidential scholars found that former President George W. Bush was ranked 39th out of 43, with poor ratings in handling of the economy, communication, ability to compromise, foreign policy accomplishments and intelligence. Meanwhile, the then-current President Barack Obama was ranked 15th out of 43, with high ratings for imagination, communication ability and intelligence and a low rating for background (family, education and experience). The C-SPAN Survey of Presidential Leadership consists of rankings from a group of presidential historians and biographers. The C-SPAN Survey of Presidential Leadership has taken place three times: in 2000, 2009 and 2017. The most recent survey was of 91 presidential historians, surveyed by C-SPAN's Academic Advisor Team, made up of Douglas G. Brinkley, Edna Greene Medford and Richard Norton Smith. In the survey, each historian rates each President on a scale of one ("not effective") to 10 ("very effective") on presidential leadership in ten categories: Public Persuasion, Crisis Leadership, Economic Management, Moral Authority, International Relations, Administrative Skills, Relations with Congress, Vision/Setting An Agenda, Pursued Equal Justice for All and Performance Within the Context of His Times—each category is equally weighed. The results of all three C-SPAN surveys have been fairly consistent. Abraham Lincoln has taken the highest ranking in each survey and George Washington, Franklin D. Roosevelt and Theodore Roosevelt have always ranked in the top five while James Buchanan, Andrew Johnson and Franklin Pierce have been ranked at the bottom of all three surveys. In 2008, The Times daily newspaper of London asked eight of its own "top international and political commentators" to rank all 42 Presidents "in order of greatness". In 2011, through the agency of its United States Presidency Centre (USPC), the Institute for the Study of the Americas (located in the University of London's School of Advanced Study) released the first ever United Kingdom academic survey to rate Presidents. This polled the opinion of British specialists in American history and politics to assess presidential performance. They also gave an interim assessment of Barack Obama, but his unfinished presidency was not included in the survey (had he been included, he would have attained eighth place overall). In 2012, Newsweek magazine asked a panel of historians to rank the ten best Presidents since 1900. The results showed that historians had ranked Franklin D. Roosevelt, Theodore Roosevelt, Lyndon B. Johnson, Woodrow Wilson, Harry Truman, John F. Kennedy, Dwight D. Eisenhower, Bill Clinton, Ronald Reagan and Barack Obama as the best since that year. A 2013 History News Network poll of 203 American historians, when asked to rate Obama's presidency on an A–F scale, gave him a B- grade. Obama, whom historians graded using 15 separate measures plus an overall grade, was rated most highly in the categories of communication ability, integrity and crisis management; and most poorly for his relationship with Congress, transparency and accountability. A 2015 poll administered by the American Political Science Association (APSA) among political scientists specializing in the American presidency had Abraham Lincoln in the top spot, with George Washington, Franklin D. Roosevelt, Theodore Roosevelt, Thomas Jefferson, Harry S. Truman, Dwight D. Eisenhower, Bill Clinton, Andrew Jackson and Woodrow Wilson making the top 10. APSA conducted a repeat of this poll in 2018, with Donald Trump appearing for the first time, in last position. Blue backgrounds indicate first quartile. Green backgrounds indicate second quartile. Orange backgrounds indicate third quartile. Red backgrounds indicate fourth quartile. Note: click the "sort" icon at the head of each column to view the rankings for each survey in numerical order. * Ranking calculated before president had completed his term in office. Note: Grover Cleveland was elected to two non-consecutive terms, serving as both the 22nd and 24th President of the United States—to date he is the only person to have achieved this distinction. Because of it, the total number of people who have served as president is one fewer than the number of presidents in order of succession. William Henry Harrison and James Garfield are sometimes omitted from rankings of the presidents because of the short duration of their terms in office. The Murray-Blessing 1982 survey asked historians whether they were liberal or conservative on domestic, social and economic issues. The table below shows that the two groups had only small differences in ranking the best and worst presidents. Both groups agreed on the composition of nine of the top ten Presidents (and were split over the inclusion of either Lyndon B. Johnson or Dwight D. Eisenhower) and six of the worst seven (split over Jimmy Carter or Calvin Coolidge). According to a Rasmussen poll conducted in 2007, six Presidents—George Washington, Abraham Lincoln, Thomas Jefferson, Theodore Roosevelt, Franklin D. Roosevelt and John F. Kennedy—were rated favorably by at least 80% of Americans. A Gallup poll about presidential greatness taken February 2–5, 2011, asked 1,015 adults in the United States the following question: "Who do you regard as the greatest United States president?". In addition, "Other" received 1%, "None" received 1% and "No opinion" received 5%. These polls evaluate recent Presidents only. A Gallup poll taken on November 19–21, 2010, asked 1,037 Americans to say, based on what they know or remember about the nine most recent former Presidents, whether they approve or disapprove of how each handled his job in office. A Public Policy Polling poll taken between September 8–11, 2011, asked 665 American voters, based on what they know or remember about the nine most recent former presidents, whether they hold favorable or unfavorable views of how each handled his job in office. A Vision Critical/Angus Reid Public Opinion poll taken on February 18–19, 2011, asked 1,010 respondents about 11 former Presidents plus the current president and whether each was a good or bad President. A Gallup poll taken November 7–10, 2013, asked 1,039 adults in the United States the following question: "How do you think each of the following presidents will go down in history—as an outstanding president, above average, average, below average, or poor?". A Quinnipiac University poll taken June 24–30, 2014, asked 1,446 registered voters in the United States who they thought were the best and worst Presidents since World War II. Four years later, a Quinnipiac University poll taken January 20–25, 2017, asked 1,190 voters in the United States who they thought were the best and worst Presidents since World War II. Including for the first time President Donald Trump, a Morning Consult poll taken February 9–10, 2017, asked 1,791 registered voters in the United States, who they thought were the best and worst Presidents since World War II. A Quinnipiac University poll taken March 3–5, 2018, asked 1,122 voters in the United States who they thought were the best and worst Presidents since World War II. On February 13, 2019, Siena released its 6th presidential poll. ^ a b c Maranell, Gary M. (June 1970). "The Evaluation of Presidents: An Extension of the Schlesinger Polls". The Journal of American History. 57 (1): 104–113. doi:10.2307/1900552. JSTOR 1900552. ^ William J. Ridings Jr. and Stuart B. McIver. Rating the Presidents: A Ranking of U.S. leaders, from the Great and Honorable to the Dishonest and Incompetent. 2000. ISBN 0806521511. ^ a b "Americans Say Reagan Is the Greatest U.S. President". Gallup.com. Retrieved March 16, 2012. ^ Walters (July 8, 2002). "Presidency: How Do African-American Scholars Rank Presidents?". History News Network. ^ Walton Jr., Hanes; Smith, Robert C. (2000). American Politics and the African American Quest for Universal Freedom. New York: Addison-Wesley Longman, Inc. pp. 201–202. ^ Donald, David H. Lincoln. 1995. p. 13. ^ Zelizer (February 21, 2011). "What's wrong with presidential rankings". CNN Opinion. ^ a b Schlesinger, Arthur M. "Our Presidents: A Rating by 75 Historians". The New York Times. July 1962. pp. 12–13, 40–41, 43. ^ a b "Rating the Presidents: Washington to Clinton". Retrieved March 25, 2010. ^ "Historians Give Good Grades to Clinton Presidency in Siena College Survey". January 11, 1995. Archived June 28, 2006. ^ "FDR America's Greatest President". August 19, 2002. Archived February 10, 2007. ^ a b Rating the Presidents: A Ranking of U.S. leaders, from the Great and Honorable to the Dishonest and Incompetent. 2000. ISBN 0806521511. ^ a b "Presidential Leadership; The Rankings". Wall Street Journal Online. September 12, 2005. Archived from the original on February 7, 2006. ^ a b "Experts: Bush Presidency Is A Failure; Little Chance To Improve Ranking". Archived May 27, 2008, at the Wayback Machine. Siena Research Institute. May 1, 2006. ^ a b "Rushmore Plus One; FDR joins Mountainside Figures Washington, Jefferson, Teddy Roosevelt and Lincoln as Top Presidents" Archived July 7, 2015, at the Wayback Machine. Siena Research Institute. July 1, 2010. ^ a b Thomas, G. Scott (July 1, 2010). "Clean sweep for the Roosevelts". Business First of Buffalo. Retrieved September 1, 2010. ^ "C-SPAN Releases Second Historians Survey of Presidential Leadership". C-SPAN. February 15, 2009. ^ "Presidential Historians Survey 2017". C-SPAN. February 17, 2017. ^ a b "C-SPAN Releases Third Historians Survey of Presidential Leadership". C-SPAN. February 17, 2017. ^ "Methodology: Presidential Historians Survey 2017". C-SPAN. February 17, 2017. ^ Griffin, Jeremy; Hines, Nico (October 28, 2008). "Who's the greatest? The Times US presidential rankings". The Times. London. Retrieved March 24, 2010. ^ a b Iwan Morgan. "UK Survey of US Presidents: Results and Analysis". Retrieved October 10, 2013. ^ "From Franklin Delano Roosevelt to John F. Kennedy, Newsweek's 10 Best Presidents (Photos)". The Daily Beast. September 24, 2012. Retrieved April 13, 2014. ^ HNN Staff (September 8, 2013). "Historians Give Barack Obama a B-". History News Network. Retrieved April 13, 2014. ^ a b Brandon Rottinghaus (February 13, 2015). "Measuring Obama against the great presidents". The Brookings Institution. ^ a b "How Does Trump Stack Up Against the Best — and Worst — Presidents?". The New York Times. February 19, 2018. Retrieved February 19, 2018. ^ Quartiles were determined by splitting the data into an upper and lower half and then splitting these into the first two and last two quartiles, respectively. When splitting an odd number of values, the median was included in the upper half. ^ "Lincoln Wins: Honest Abe tops new presidential survey". CNN. February 16, 2009. Retrieved October 30, 2010. ^ "Presidential Historians Survey 2017". C-SPAN. Retrieved February 17, 2017. ^ "Presidents 2018 Rank by Category" (PDF). Retrieved February 19, 2019. ^ a b c Tyler was elected on the Whig ticket as Harrison's vice president, but Tyler became an independent after the Whigs expelled him from the party in 1841. ^ a b c Johnson was a former War Democrat elected on the National Union ticket as Lincoln's vice president, but by 1868 the National Union Party disbanded. ^ Murray and Blessing. p. 135. ^ "Washington, Lincoln Most Popular Presidents: Nixon, Bush Least Popular - Rasmussen Reports™". Rasmussenreports.com. July 4, 2007. Retrieved March 16, 2012. ^ "Kennedy Still Highest-Rated Modern President, Nixon Lowest". Gallup. Retrieved March 16, 2012. ^ "JFK, Reagan, Clinton most popular recent ex-presidents". September 15, 2011. ^ "Kennedy and Reagan Lead List of Good Presidents for Americans". Angus Reid Public Opinion. Archived August 22, 2012, at the Wayback Machine Retrieved August 22, 2012. ^ "Americans Rate JFK as Top Modern President". Gallup. Archived from the original on August 1, 2016. ^ The weights were 5 for "Outstanding", 4 for "Above Average", 3 for "Average", 2 for "Below Average" and 1 for "Poor". ^ "National (US) Poll – July 2, 2014 – Obama Is First As Worst President Since WWII, Quinnipiac University National Poll Finds; More Voters Say Romney Would Have Been Better". Quinnipiac University. ^ "Trump Starts In The Hole As U.S. Voters Disapprove, Quinnipiac University National Poll Finds; Reagan, Obama Are Best Presidents In 70 Years". Quinnipiac University. ^ "Morning Consult National Tracking Poll February 09–10,2017". Politico. ^ "Poll: Trump and Obama Are America's Worst Presidents Since World War II". Morning Consult. February 15, 2017. ^ "QU Poll Release Detail". Quinnipiac University. March 7, 2018. Retrieved March 10, 2018. ^ "Rushmore Plus One; FDR joins Mountainside Figures Washington, Jefferson, Teddy Roosevelt and Lincoln as Top Presidents". Siena College. July 1, 2010. Archived from the original on July 6, 2010. Retrieved May 19, 2017. ^ "All Presidents - C-SPAN Survey on Presidents 2017". C-SPAN. Retrieved December 14, 2017. ^ "Siena's 6th Presidential Expert Poll 1982 – 2018". ^ Carey, Benedict (November 27, 2014). "Study on Cultural Memory Confirms: Chester A. Arthur, We Hardly Knew Ye". The New York Times. Retrieved September 11, 2015. Bailey, Thomas A. (1966). Presidential Greatness: The Image and the Man from George Washington to the Present. New York: Appleton-Century. → A non-quantitative appraisal by leading historian. Bose, Meena; Landis Mark (2003). The Uses and Abuses of Presidential Ratings. New York: Nova Science Publishers. ISBN 978-1590337943. → A collection of essays by presidential scholars. DeGregorio, William A. (1993). The Complete Book of U.S. Presidents (4. ed., rev., expanded, and up-dated ed.). New York: Barricade Books. ISBN 978-0942637922. → Contains the results of the 1962 and 1982 surveys. Eland, Ivan (2009). Recarving Rushmore: Ranking the Presidents on Peace, Prosperity, and Liberty. Oakland, California: Independent Institute. ISBN 978-1598130225. Faber, Charles; Faber, Richard (2000). The American Presidents Ranked by Performance. Jefferson, NC: McFarland Co. ISBN 978-0786407651. Felzenberg, Alvin S. (1997). "There You Go Again: Liberal Historians and the New York Times Deny Ronald Reagan His Due". Policy Review. 82: 51–54. ISSN 0146-5945. Holli, Melvin G. (1999). The American Mayor: The Best & the Worst Big-City Leaders. University Park, PA: Pennsylvania State University Press. ISBN 978-0271018768. Merry, Robert W. Where They Stand: The American Presidents in the Eyes of Voters and Historians (2012). Miller, Nathan (1998). Star-Spangled Men America's Ten Worst Presidents. New York: Scribner. ISBN 978-0684836102. Murray, Robert K.; Blessing, Tim H. (1994). Greatness in the White House: Rating the Presidents, from Washington Through Ronald Reagan (2., updated ed.). University Park, PA: Pennsylvania State University Press. ISBN 978-0271010892. Nichols, Curt (2012). "The Presidential Ranking Game: Critical Review and Some New Discoveries". Presidential Studies Quarterly. 42 (2): 275–299. doi:10.1111/j.1741-5705.2012.03966.x. ISSN 0360-4918. Pfiffner, James P. (2003). "Ranking the Presidents: Continuity and Volatility" (PDF). White House Studies. 3: 23. ISSN 1535-4768. Ridings Jr., William J.; McIver, Stuart B. (1997). Rating the Presidents: A Ranking of U.S. leaders, from the Great and Honorable to the Dishonest and Incompetent. Secaucus, NJ: Carol Publishing. ISBN 978-0806517995. Schlesinger Jr., Arthur M. (1997). "Ranking the Presidents: From Washington to Clinton". Political Science Quarterly. 112 (2): 179–190. doi:10.2307/2657937. JSTOR 2657937. Skidmore, Max J. (2004). Presidential Performance: A Comprehensive Review. Jefferson, NC: McFarland Co. ISBN 978-0786418206. Skidmore, Max J. (2001). "Ranking and Evaluating Presidents: The Case of Theodore Roosevelt". White House Studies. 1 (4): 495–505. ISSN 1535-4768. Taranto, James; Leo, Leonard (2004). Presidential Leadership: Rating the Best and Worst in the White House. New York: Wall Street Journal Books. ISBN 978-0743254335. → For Federalist Society surveys. "Ranking Presidents: Utter Nonsense Or Useful Analysis?". 2001 column by John Dean. "List of presidential rankings". Historians rank the 42 men who have held the office. AP via MSNBC. February 16, 2009, poll. This page was last edited on 23 April 2019, at 15:56 (UTC).